Outings Project job completed. An example from Paris, France. 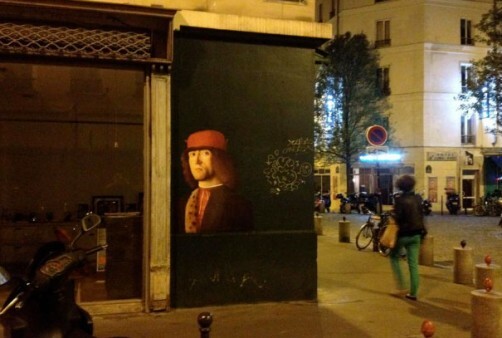 What happens when characters from famous paintings move from the walls of museums to the streets? Art is out ! 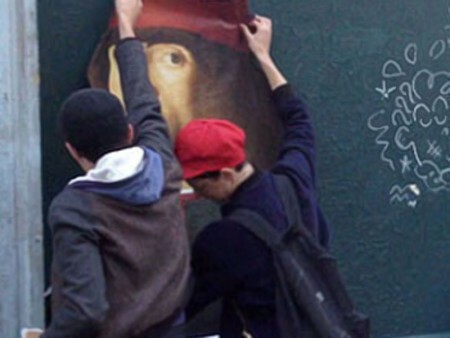 What happens when characters from famous paintings move from the walls of museums to the streets? French visual artist Julien de Casabianca has invited art-lovers (artists and the wider public) to take art out of galleries and “for a stroll in the city”. De Casabianca’s pioneering “Outings Project” involves using a smartphone to take photos of masterpieces housed in famous museums and galleries. Photos are then printed and glued on walls in different urban spaces. So far, the challenge has been accepted by numerous artists in cities around the world including Paris (France), London (UK), Madrid and Barcelona in Spain, New York in the US, Padova (Italy), Tirana (Albania) and Thessaloniki (Greece). Having also finished with a tour in six towns in the USA, the Outings team invites everyone to create a relationship between our living space and our collective culture. “Everybody can do it – photograph the portraits of people on museum walls with your phone, print them out and move them to the street walls” says de Casabianca.